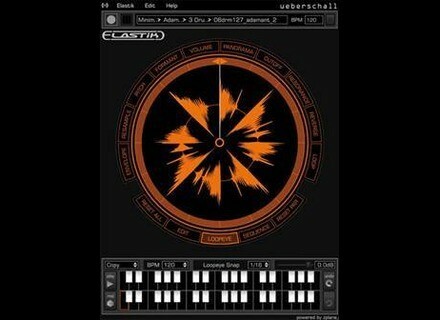 Elastik 2, Digital Audio Editor from Ueberschall. Product replaced by the Ueberschall Elastik 3. Ueberschall announces the first update of Elastik 2, bringing some minor bugfixes and one new feature to the Elastik engine. Pro: designed to get the best result out of the material. Efficient: designed to walk the path between a good result and a CPU friendly solution. 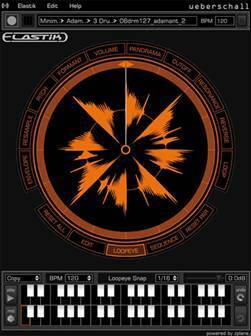 Transient: designed to lay the focus on peaks, therefore good for percussive material. The bugfixes are designed to take care about three minor problems. AU validation crashes in Logic: If you are using Mac OS 10.4 and you could not validate Elastik 2 with version 2.0.3, you can download this bugfix. No RTAS plugin in Pro Tools 7: Elastik version 2.0.3. could not be found in PT7. This is fixed with the new update. Soundbanks could not be loaded: In case your username included special items (for example umlauts like ä, ö or ü), you were not able to load a soundbank into Elastik. This problem has been fixed with version 2.0.4. Camel Audio Dubstep Camel Audio has announced the release of Dubstep, a new Sound Library forAlchemy and Alchemy Player.